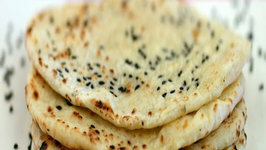 Naan is one of the easiest flatbreads to make - but it really should be cooked at a high temperature. This Naan recipe - adapted from Anjum Anand's cookbook - is .. 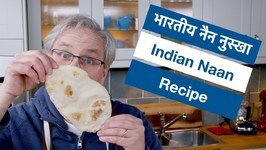 In this video, we will make an Instant Naan Recipe, which is very Soft in texture, and in the exact Restaurant Style. 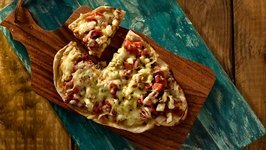 We called for some ready made Naan and turned into a quick and super delicious homestyle Indian Pizza. 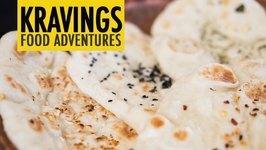 You would have tasted Indian breads stuffed with potatoes, methi, mint, veggies and varied other options, but have you ever tried naan stuffed with rice? Rice, when .. 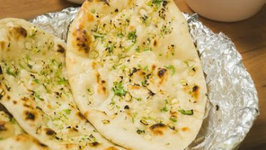 This is a rich Indian bread recipe, with the exciting flavour of garlic and green chillies. 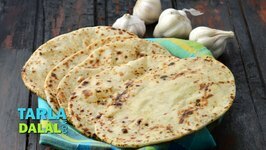 Handle the dough carefully, just as explained in the recipe in order to get ..
Make this delicious restaurant quality bread in your own home and use it to accompany many delicious curries. 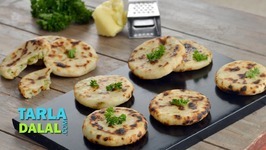 Garlic Naans, Indian flat bread - naans topped with garlic and coriander. 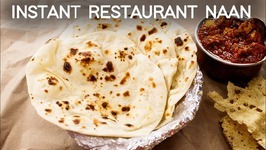 These naans are usually served in all restaurants, the flat bread which is baked in a coal .. 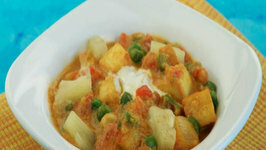 This navratna korma is a sweet vegetable dish that tastes great with parathas or naan. 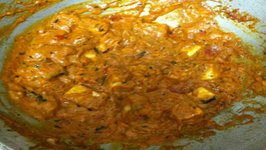 Here is a delicious and filling chicken dish that tastes great with paratha, naan or roti. 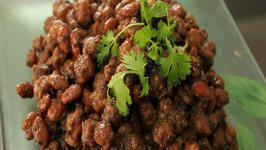 A simple Punjabi style chickpea recipe cooked using choicest spices. 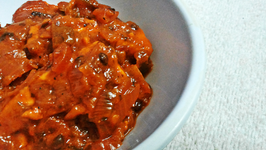 This flavorful dish can be served with naan or roti. 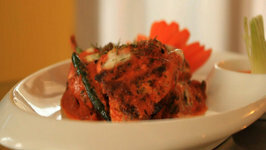 This classic dish is popular in all the restaurants serving Indian food. 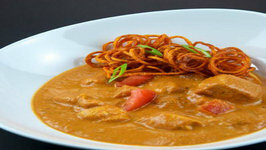 The perfect blend of spices and rich creamy gravy makes it perfect for most palates. 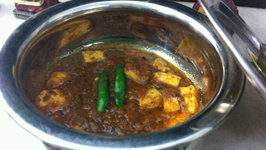 Paneer do pyaza is a restaurant style dish, which you will often find in any North Indian menu. I wont say its easy to make, but definitely you should give a try. 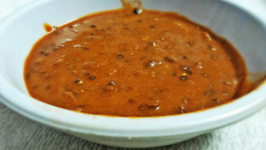 Dal Makhni is a famous dish of North India, which is often served in marriages, engagements, birthdays or any special occasion. 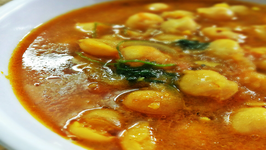 It is a popular North Indian chickpea curry, which goes well with poori, bhatura, roti, naan or rice. 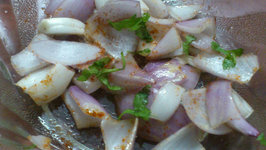 If you are planning a small get together at your home, then this is ..
How about making aromatic spicy Indian flavoured gravy? 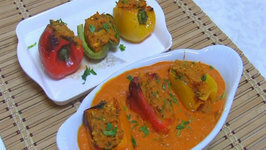 Paneer Lababdar is one of those recipes which are rich in flavour and color. 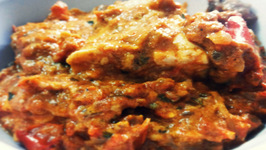 Succulent pieces of boneless chicken breast in rich spicy tomato gravy. 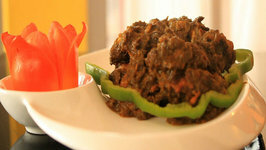 Great dish to serve on celebrations. 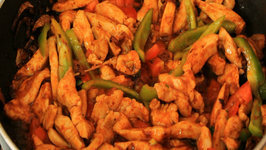 Vegetarians can replace chicken with low fat cottage cheese. 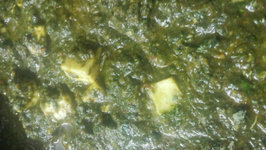 Palak Paneer is a highly nutritious and creamy Indian dish made with spinach and paneer in a thick gravy based on pureed spinach. 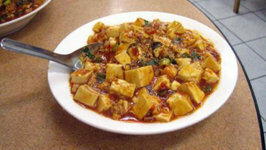 The great Indian style Curry with tofu.